Why would you want to convert email to DOC, the most popular format for text documents? The answer is simple – for your personal convenience! You cannot attach an email to a letter you send to your friends or colleagues, you cannot send an email to a flash drive or share it over the Internet… However, you can do all that with a DOC file. The easiest and yet the most efficient way to convert emails to DOC is use a high-quality email converter. 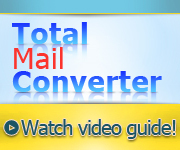 You are recommended to try Total Mail Converter developed by CoolUtils. This tool has many advantages that make it superior to other conversion software. However, simplicity is not the only advantage of Total Mail Converter. This program is also very functional. 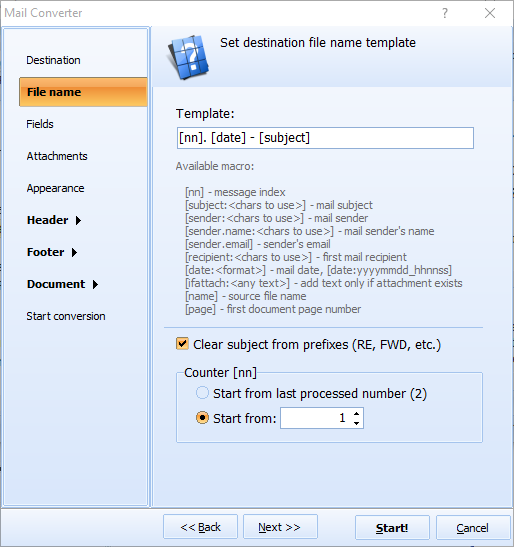 As such, Total Mail Converter can be used to process files in EML and MSG formats into PDF as well as TXT, HTML, RTF, DOC, and TIFF. 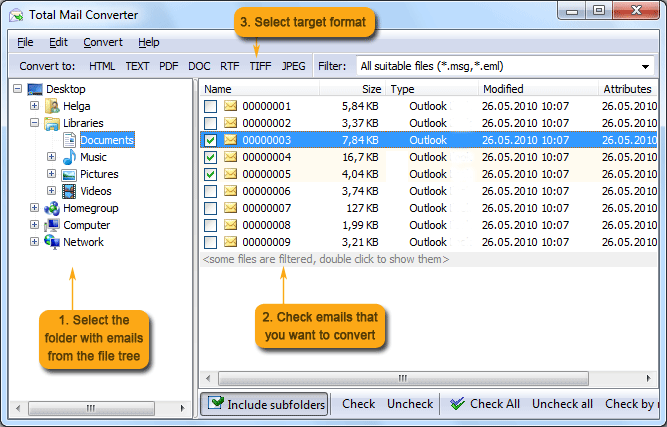 Total Mail Converter automatically converts emails from major e-mail clients, including Outlook Express, Microsoft Outlook, Mozilla Thunderbird, The Bat!, and others. You should export emails to MSG or EML first. 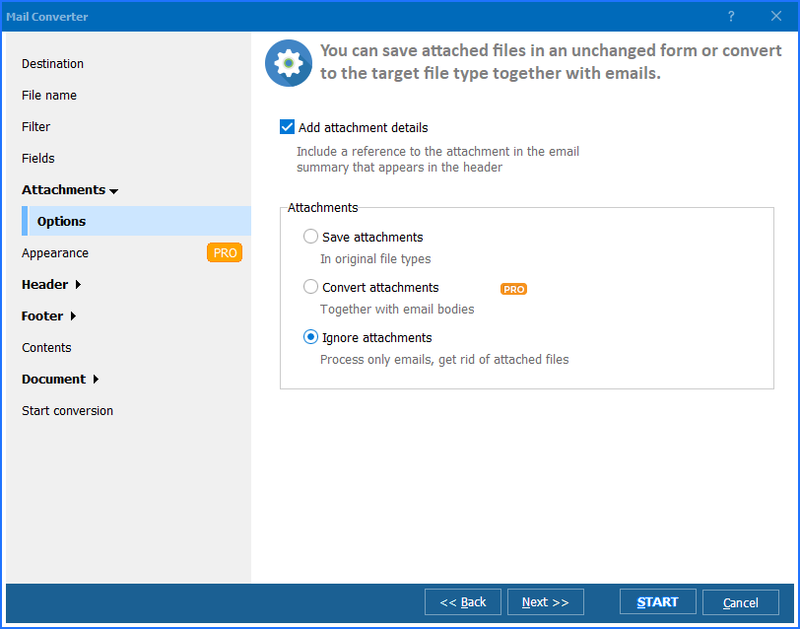 Total Mail Converter allows you to deal not only with the emails themselves, but also with the attachments. 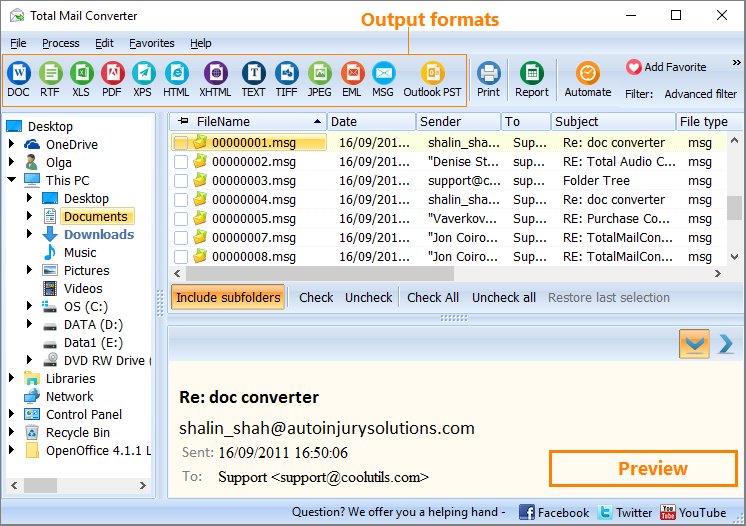 If you are using Total Mail Converter Pro, you will even be able to convert the format of the attached files! 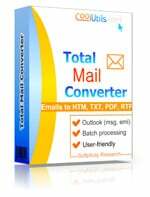 Finally, Total Mail Converter is very affordable. It is priced at under $60, but you can get it for free! Simply download the free trial version of CoolUtils converter online and use it for free for the first 30 days to make a purchase decision. Also, commercial, server and royalty-free licenses are available here. Convert EML to Doc for backup.